Dr. Brian Spence has been practicing in Bryan as a licensed dentist in Texas since 2008. Dr. Spence completed his undergraduate studies at Texas A&M University (Class of ’01) where he graduated with Bachelor of Science in Biology. Dr. Spence completed dental school at Baylor College of Dentistry in 2008. Dr. Spence works hard to stay abreast of the latest advances in dental care and participates in regular continuing education seminars and advanced training courses. As a general dentist Dr. Brian Spence can provide a wide variety of services for his patients which include oral surgery, dental implants, cosmetic and sedation dentistry. 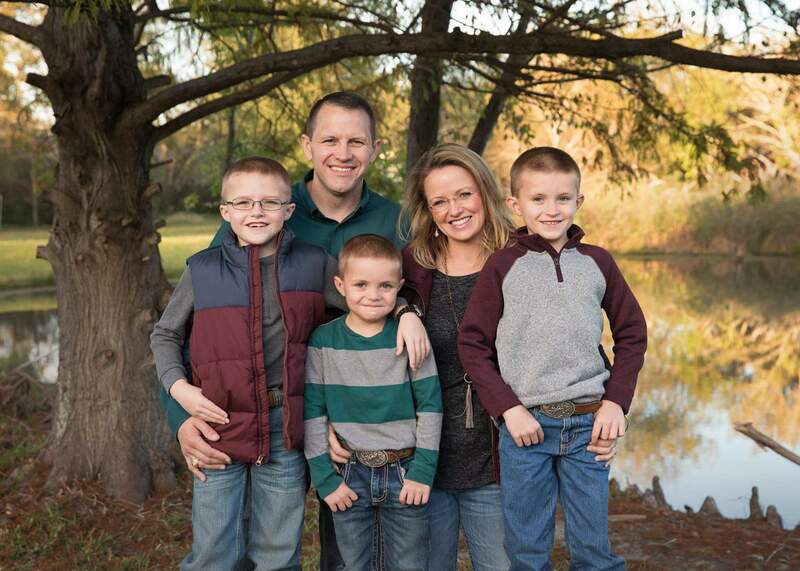 Dr. Spence and his wife Dawn have three wonderful boys, and enjoy raising their family in Bryan. Dawn, is a dental hygienist, but is currently a stay at home mom. She graduated from University of Texas Dental Branch Houston with a bachelor of science in Dental Hygiene. She loves staying at home with their children, but looks forward to the day she can return to dental hygiene. The Spence’s are active members in their church and in the community. The Spence family hobbies include watching the Aggies every chance they get, boating, fishing, hunting, and almost anything outdoors.